Breakfast is the meal of the day where the expat in Japan is least likely to find themselves missing home, as staples like eggs, bacon, toast, butter, maple syrup, pancakes, muffins, cereal and fruit are all easy to come by in Japan - as long as you like cornflakes and their variations. I used to get up on UFC Sundays and make myself eggs Benedict with English muffins I kept in my freezer. Divine! You can buy all the typical Western breakfasts foods at restaurants too, of course - no problem. Even my students, when I asked them what they liked to eat in the morning, often said "toast" or "cereal" - though many did have miso soup, of course. Sometimes I had miso as well, when I was but I didn't know enough about the other ingredients to actually make a full meal, and I rarely was up early enough to go to a restaurant on my days off, even on vacation. That's why it took me so long to experience an authentic - and delicious! - traditional Japanese breakfast. The third major component is the fish. Grilled salted salmon is a popular choice - yum! Driel horse mackerel or salted saury are other good options. Don't overdo it on the fish - just a small slice is usually acceptable. Don't forget the pickles and dried seaweed! 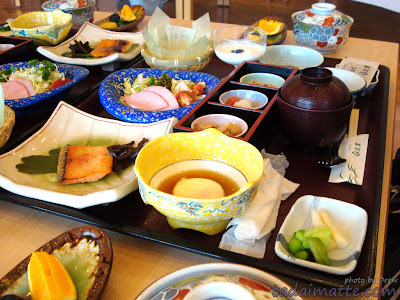 As you can see in the photo, everything is served in its own individual dish and there are usually common shapes for each dish. 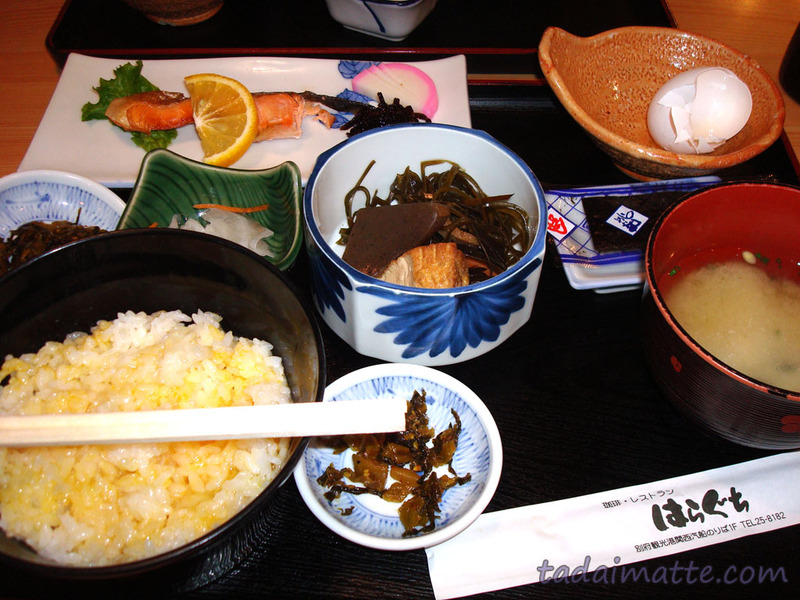 You'll always receive the rice and miso soup in bowls, and the egg in a separate bowl, if you have one. The fish is always served on a rectangular plate. Small square bowls are popular for items like pickles and seaweed salads. Hungry yet? Even if you're a toast or Lucky Charms for breakfast kind of person, it's fun to give the traditional spread a try!